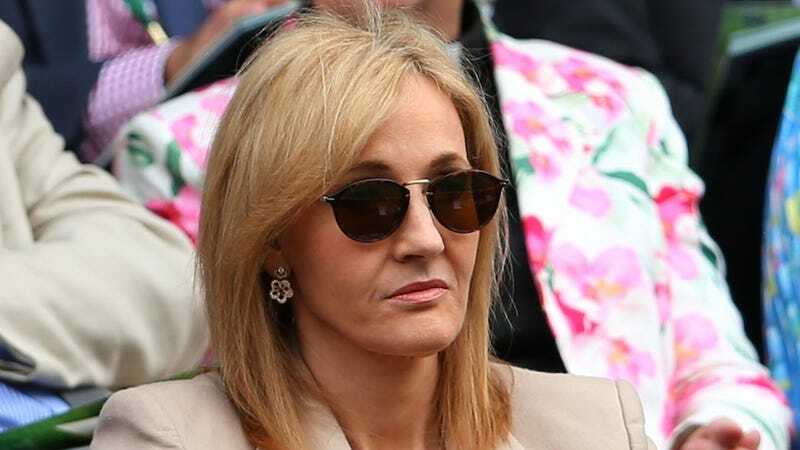 It's nerd Christmas, and so naturally J.K. Rowling decided to bestow some new Harry Potter-related writing unto the world. And it includes an in-depth profile of the very nasty character Dolores Umbridge, whose prim style and cutesy mannerisms conceal a wizened heart. Even at seventeen, Dolores was judgemental, prejudiced and sadistic, although her conscientious attitude, her saccharine manner towards her superiors, and the ruthlessness and stealth with which she took credit for other people's work soon gained her advancement.... Whenever she was asked (usually by workmates who did not like her) 'are you related to that Umbridge who used to mop the floors here?' she would smile her sweetest, laugh, and deny any connection whatsoever, claiming that her deceased father had been a distinguished member of the Wizengamot. While they valued her hard work and ambition, those who got to know her best found it difficult to like her very much. After a glass of sweet sherry, Dolores was always prone to spout very uncharitable views, and even those who were anti-Muggle found themselves shocked by some of Dolores's suggestions, behind closed doors, of the treatment that the non-magical community deserved. But what inspired this character's combination of sickly sweet and vicious? Apparently, Umbridge was inspired by a real "teacher or instructor" Rowling once knew with "a pronounced taste for twee accessories," whom she "disliked intensely on sight." (The feeling was mutual.) (Though she admits it was an irrational dislike.) Somewhere in the United Kingdom, a fussily dressed woman is furiously polishing a pink porcelain platter covered in cats. So Dolores, who is one of the characters for whom I feel purest dislike, became an amalgam of traits taken from these, and a variety of sources. Damn, J.K., tell us how you really feel. Somebody please ask this woman what she makes of Taylor Swift.